Are you having trouble deciding on your major? Or are you worried that your major will not help you to launch a successful career? This interactive presentation can help you determine what major is the right fit for you and help you uncover your unique strengths and interests. 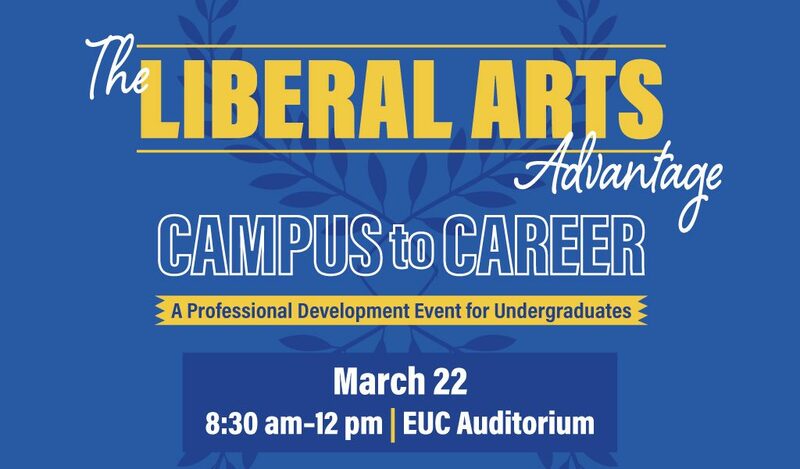 The session will discuss the skills you need to develop for your career – critical thinking, communication and collaboration – and how you can gain those through your liberal arts courses. When interviewing with an employer, it’s important to talk about what specifically makes you the best candidate for a position. This interactive session will teach you a method to effectively share your unique story in an interview while highlighting core skills gained through the Liberal Arts – critical thinking, communication and collaboration. This presentation will go in-depth about the preparation needed to conduct a successful job search leading up to graduation. 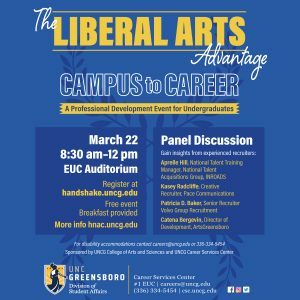 The session will teach you how to research and identify job openings that align with your liberal arts skill set along with the most effective ways to showcase your qualifications. Online resources and networking strategies will also be discussed.